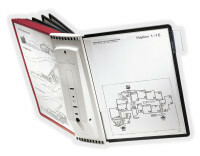 Wall bracket with 5 SHERPA® display panels in A4 format (5 x black). Wall bracket of epoxy coated metal for 5 A4 panels. 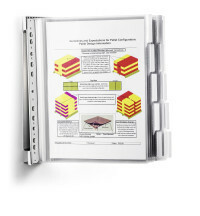 Easy mounting on to walls with enclosed fixing material. 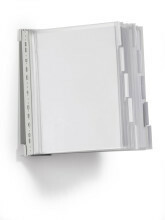 Magnetic bracket for assembly on walls or metal surfaces. 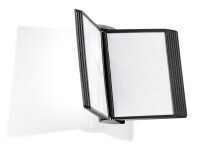 Wall bracket with 10 SHERPA® PANEL display panels in A4 format (10 panels in black). 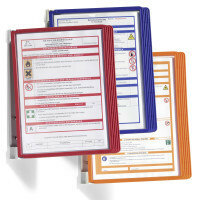 Complete set consisting of a metal wall bracket and 10 'safe' A4 display panels. 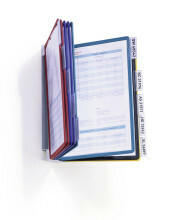 The panels feature an integrated zip that offers full protection for documents from dirt and moisture. 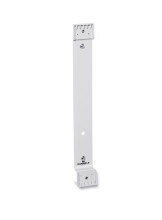 Wall bracket made of stainless steel with 10 panels FUNCTION SAFE A4. 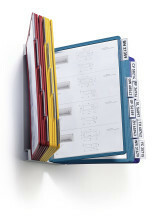 Wall bracket with 10 SHERPA® display panels in A4 format and index tabs with blank insert labels. Complete with 5 x red and black panels or 5 x grey and black panels. Can be combined with desk clamp, product #5627. 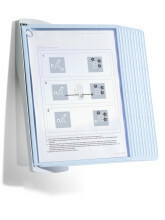 Wall mounted display panel system with antimicrobial properties. Complete with 10 A4 SHERPA® BACT-O-CLEAN PANELS. 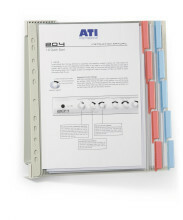 Multi-functional display panel system that mounts on the wall or stands on a desk. 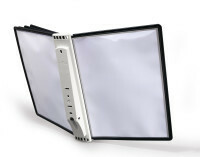 Panels rotate from portrait to landscape position. 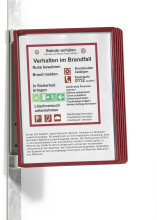 Metal wall bracket supplied complete with 10 black A5 display panels. 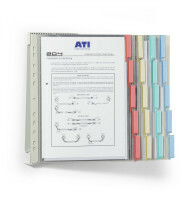 The set includes 10 index tabs.